Lovelets - Words for the Heart is a beautiful anthology of 57 ardent poems and 10 enthralling short stories written by poets and authors from all across the globe. The concrete theme rests on the pleasurable emotion, Love that resides very close to ones heart. Love is such an ointment that soothes an aching heart, strengthens a restless soul, and rekindles a sensitive relationship between two souls. 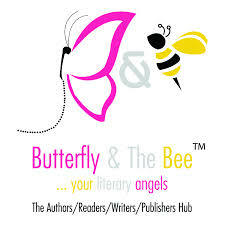 The book has been very carefully conceptualized by the team of All About Books Global and marketed by the Butterfly & the Bee team. Passionate worldwide poets and writers were invited to make sacred contributions to the Poets Corner. Their exclusive works of creation coming from their heart to the mighty pen have been treated with utmost care in the form of droplets of love. Thus, Lovelets was born. By a man without his mistress." The above lines are taken from the last stanza of the poem, 'Suicide in Love' written by Basu Maan. Through his poem, he has tried to make us realize that what life is like without any love. A loveless life is like a suicide to a soul. Such life is meaningless to 'a man without his mistress'. His fingers contouring them in trace"
The above verses are from the poem, 'Midnight Kiss' written by Meghana Subramanian. Through her poem, she has expressed love in blissful times when two souls come together in the middle of a 'night in July'. Love is an ecstasy when nature witnesses the true lovers and surrenders happily before them. When you call out my name. I have never been the same." The above lines are taken from the poem, 'My Name On Your Lips' written by Sulekha Rawat. In her poem, Rawat has a deep respect for love. She takes pride when she hears her name on her lover's lips. She feels revered and likes to surrender herself to love completely. Apart from such overwhelming and touching-to-heart poems, I admire the short stories written by some passionate writers, such as Ritesh Agarwal, Manjulika Pramod, Shreya Chatterjee, Dr. Bina Biswas, and Smita Kaushik to name some. The theme of all the 10 short stories encircles the heart-pining emotion of love that dwells in one form or the other in every human heart. To some love is a disguise in the form of kindness and understanding and to some love is an attachment that others give it a name of love. This is true that love has no form, shape, color, or size. Yet, it is priceless and cannot be measured by anything. Love comes to anybody anytime anywhere with or without a knock at the door. But, when it does come to anyone even silently, we must be aware of it and not let it go but preserve it like a gem much closer to our hearts. Hello,couldn't find your email address.Kindle email me at grazeldiz03@gmail.com.Harper Collins India is looking for Crime book reviewers.